Sunday, May 15, 4:00 – 7:00 P.M.
Little Mood 4, 2016, 30 x 24 inches, Screen-print on polystyrene. 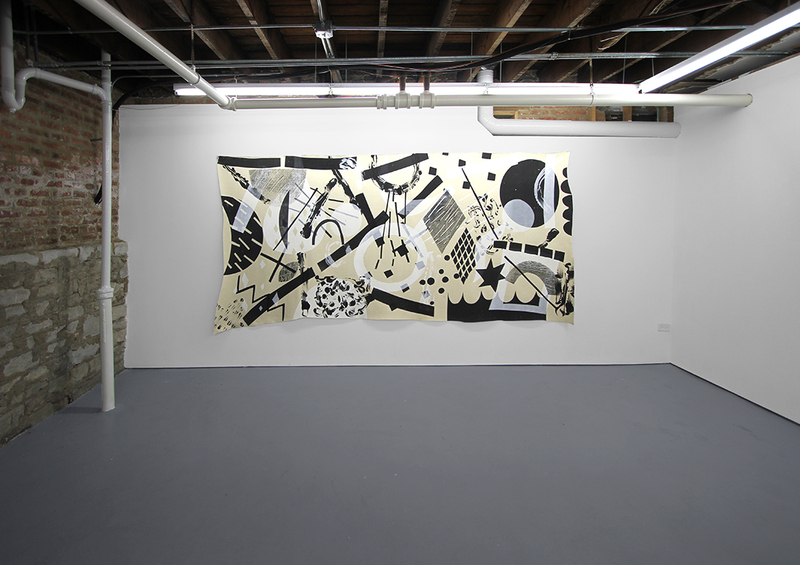 For his second solo exhibition in Chicago, TURN ON THE DARK, Jovencio de la Paz furthers his personal and queer vernacular of abstraction with screen-printing and rudimentary mono-printing techniques. Within this framework, de la Paz mixes ornament, decoration, gesture, and pattern to generate an atmosphere of layered desires and absences. 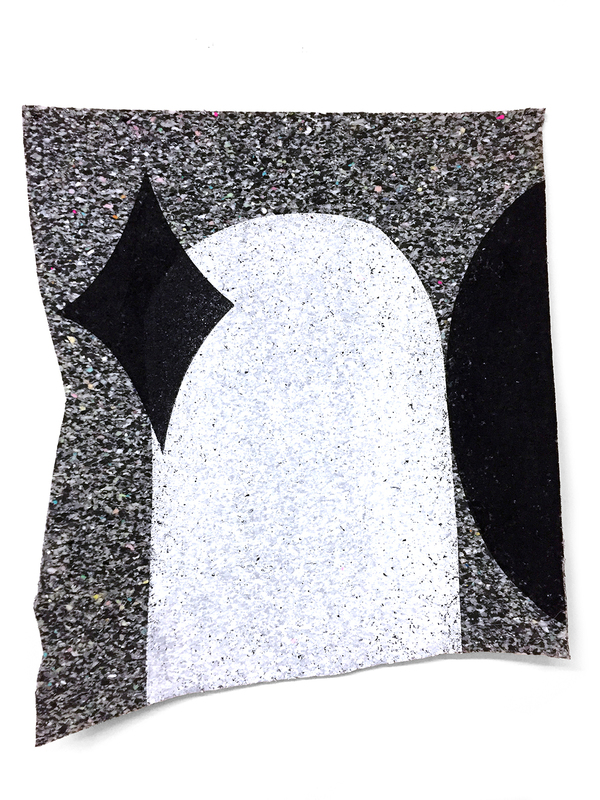 De la Paz prints on wool felt which, like skin or flesh, is broken at the edges. The irregular contours and uncertain perspectives of this material describe corporeal spaces that flux between the rectilinear parameters of painting and the chaotic structure inherent to felt. The fracturedness of his prints challenges normative notions of wholeness, and their dense, fuzzy, and sometimes seemingly oozing surfaces become an aesthetic of leakage and vulnerability. 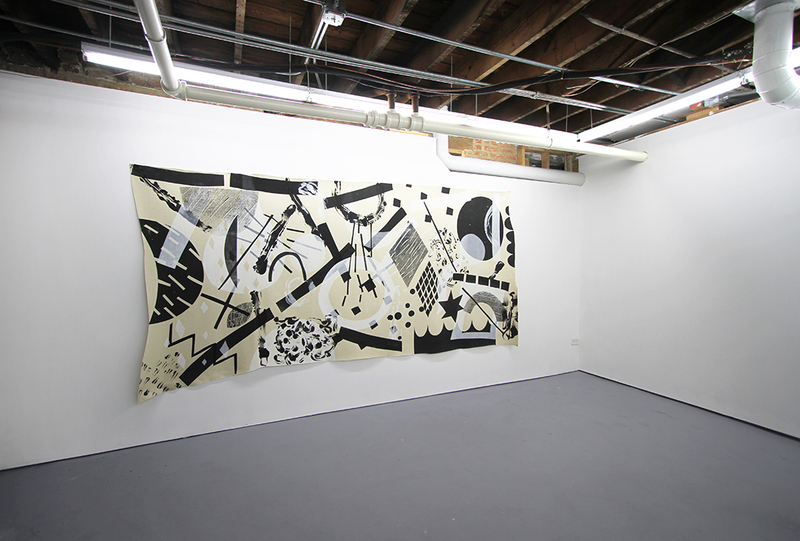 De la Paz uses a limited palette of black, white, and gray to emphasize forms and their relationships over chroma. Blackness/ whiteness and darkness/ lightness carry a politic inexorably linked to his formal concerns. 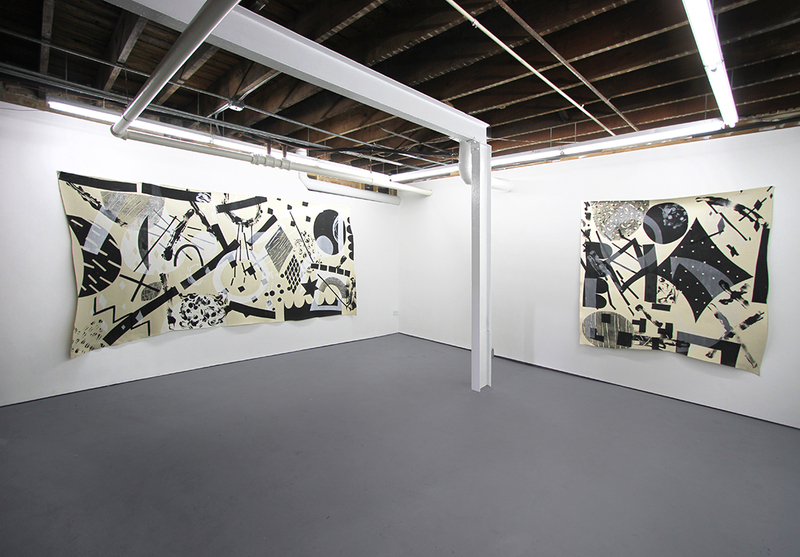 De la Paz has recently relocated to Eugene, Oregon, and Turn on the Dark highlights his sensitivity to location. His new prints draw gestural cues from Petroglyphs of the Pacific Northwest and specific locations preserved in Lake County, Oregon. Inspired by these secret messages and coded symbologies, de la Paz’s work speaks to pluralities of languages and simultaneously vacillates between painting, printmaking, and other fiber processes. 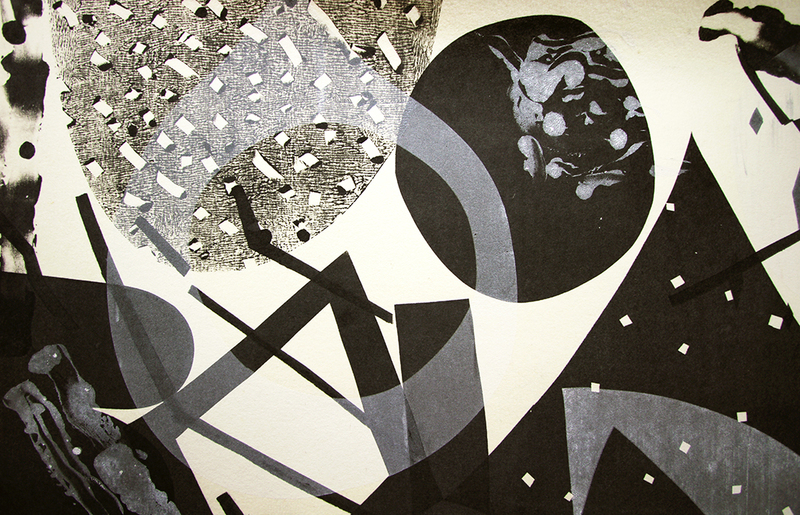 Bio: Jovencio de la Paz is an artist living and working in Eugene, Oregon. He received his BFA from the School of the Art Institute of Chicago in 2008, and an MFA from the Cranbrook Academy of Art, Department of Fiber, in 2012. He has exhibited work at ThreeWalls, Chicago, IL; The Museum of Contemporary Craft, Portland, OR; The Sculpture Center, Cleveland, OH; SOIL Gallery, Seattle, WA; Roots & Culture Contemporary Art Center, Chicago; The Hyde Park Art Center, Chicago; MessHall, Chicago; Uri Gallery, Seoul, South Korea. among others. He is currently Assistant Professor and Curricular Head of Fiber at the University of Oregon, in Eugene, and regularly teaches at schools of art, craft, and design throughout the country, including the Ox Bow School of Art in Saugatuck, MI and the Arrowmont School of Craft in Tennessee. He is also a co-founder of the collaborative group Craft Mystery Cult, established in 2010. 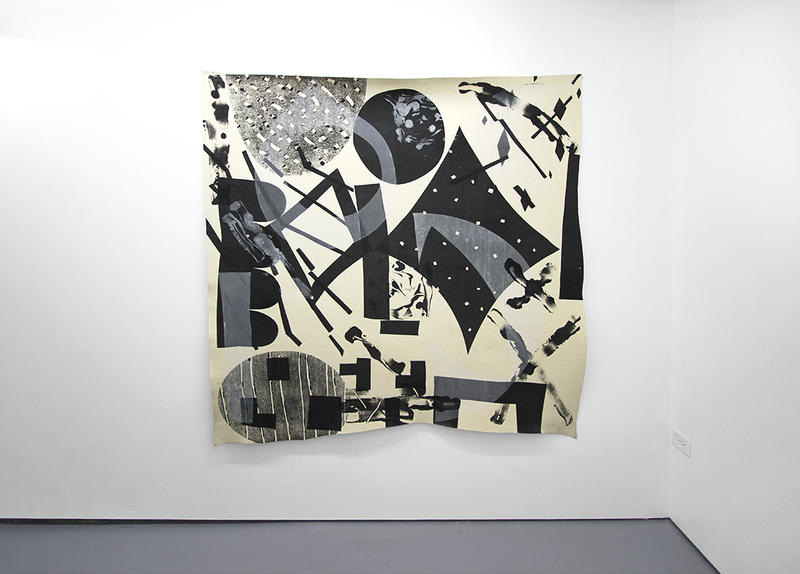 Proposal for a Future So Black, 2016, Screenprint and Mono-print on wool. 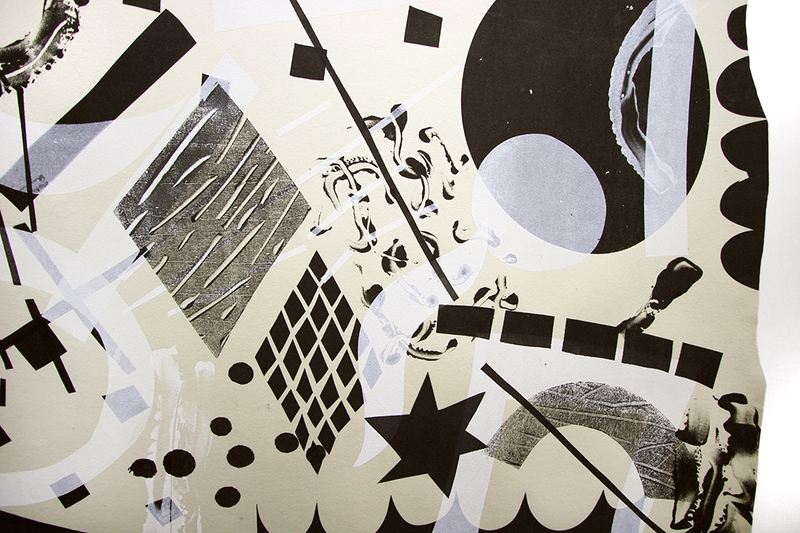 The Future So Black, 2016, Screenprint and Mono-print on wool (detail). The Future So Black, 2016, Screenprint and Mono-print on wool. 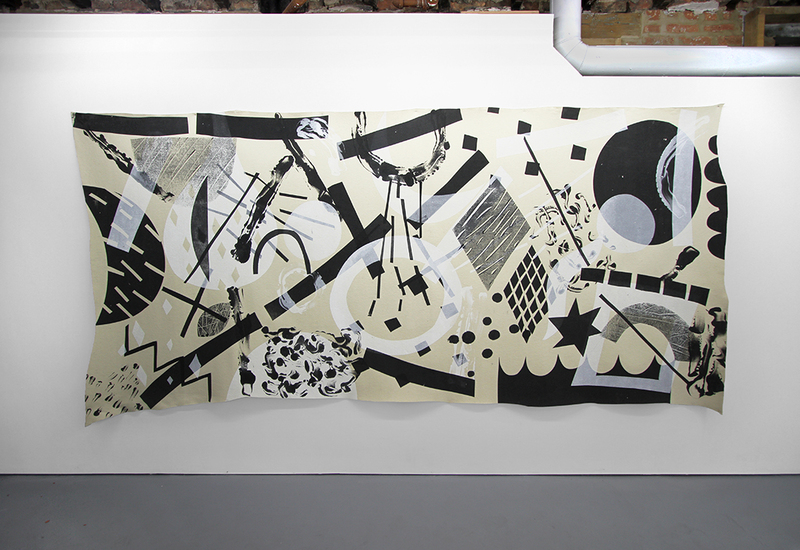 Proposal for a Future So Black, 2016, Screenprint and Mono-print on wool; The Future So Black, 2016, Screenprint and Mono-print on wool. 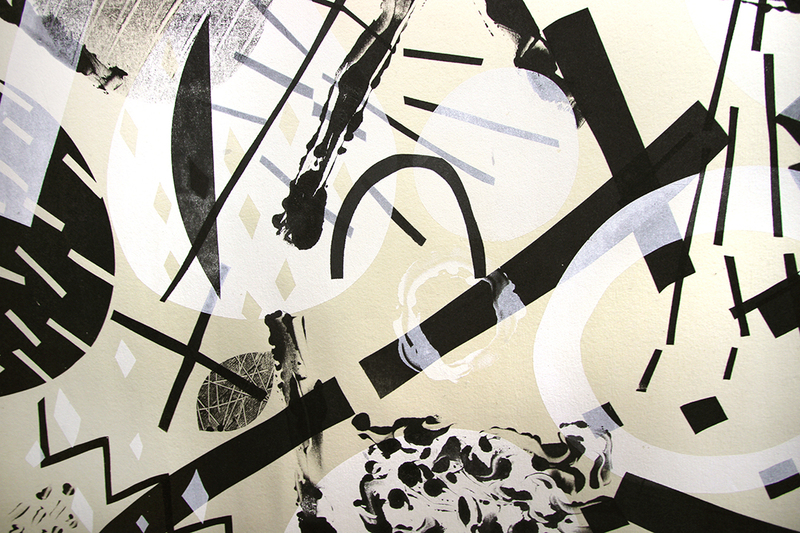 Proposal for a Future So Black, 2016, Screenprint and Mono-print on wool (detail).